Wonder what happened to GTA 5's story DLC? Update: The resume is, apparently, a fake. "That isn't my page, account or résumé. I don't even know that website. I worked on GTA 5 a long time ago and haven't done anything since. Sorry for the confusion. It seems I'm being trolled online really badly," Neff told PCGamesN. Original story follows. Original story: You probably aren't surprised to hear GTA 6 may be in the works, but it's still cool to see some evidence that isn't just your brain saying "well Rockstar wouldn't not make it". Today's clue comes in the form of the resume for actor Tim Neff who, as spotted on NeoGAF, has listed motion capture roles for both Grand Theft Auto 6 and Red Dead Redemption 2 on his resume. And Neff likely isn't just blowing smoke, since his Instagram includes check-ins at the Rockstar San Diego offices both in February 2017 and October 2016. Rockstar San Diego was the primary studio behind Red Dead Redemption. 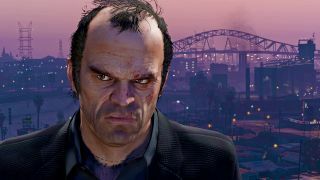 It also assisted with development on GTA 5 (as did many of the company's global studios), and its location makes it a handy spot for bringing in California-based actors, regardless of the specific game they're working on. Knowing Rockstar, we probably won't get an official announcement for GTA 6 until within a year of its (initial) release date. And since Rockstar won't want to crowd out Red Dead Redemption 2 - which has a spring 2018 release date - I wouldn't expect to see GTA 6 arrive before 2019 at the very earliest. While you wait, why not check out these 10 games like GTA that you can play right now?